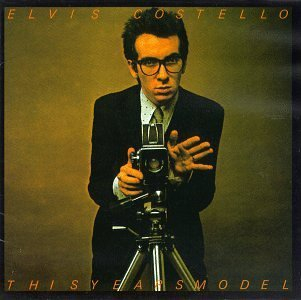 To an even greater extent than its predecessor—the first new-wave album to score a place on the American top 50—This Year’s Model exudes the qualities that first made Elvis Costello a name to watch. The album, which originally appeared in the U.S. in 1978, finds him revamping his instrumental approach, lending new immediacy to his music with manic percussive bursts and pervasive organ work. He confronts his many demons head on here, and intensifies the dualistic stance that imbues his efforts with creative tension. On the one hand, he refuses to display any reverence for the music business, women, or even himself; most of the time he lashes out at such targets with venom. While he wants resolution only on his own terms and seems not at all sure that he’ll ever achieve it, however, he never lets us forget how much he cares about his demons and wishes he could embrace them. This 2002 reissue makes a good thing even better, adding such treasures as demos of “Green Shirt” and “Big Boys” an alternate version of “(I Don’t Want to Go To) Chelsea” and live readings of several other numbers.